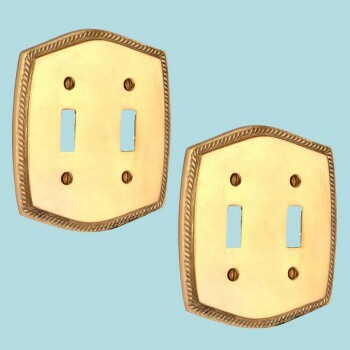 (2) pieces Switchplate. Colonial Roped Double (2) toggle, two (2) gang switch plate. 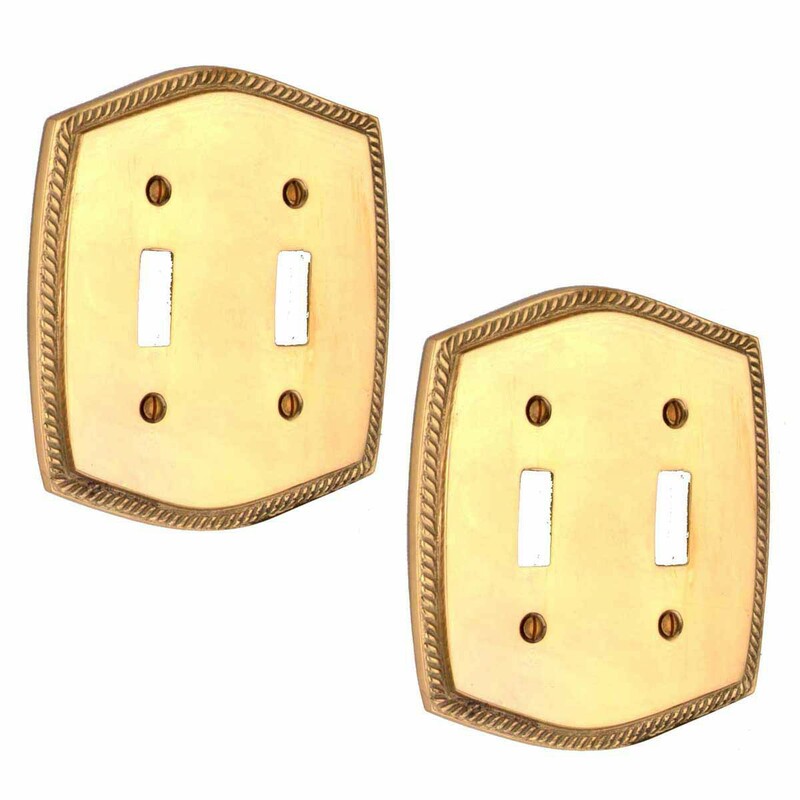 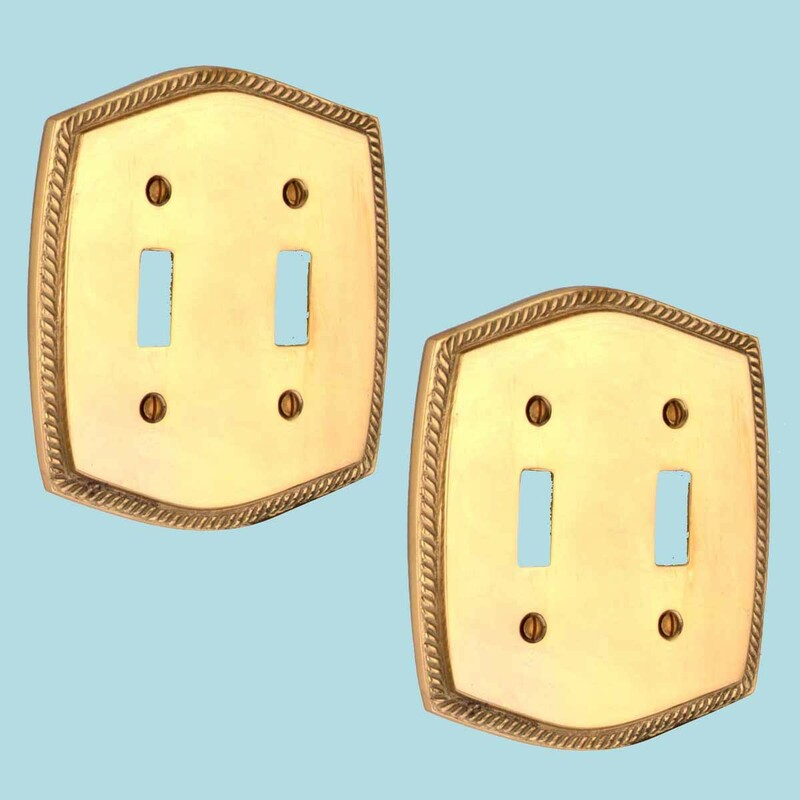 This Colonial Roped bright brass wallplate is solid cast brass. 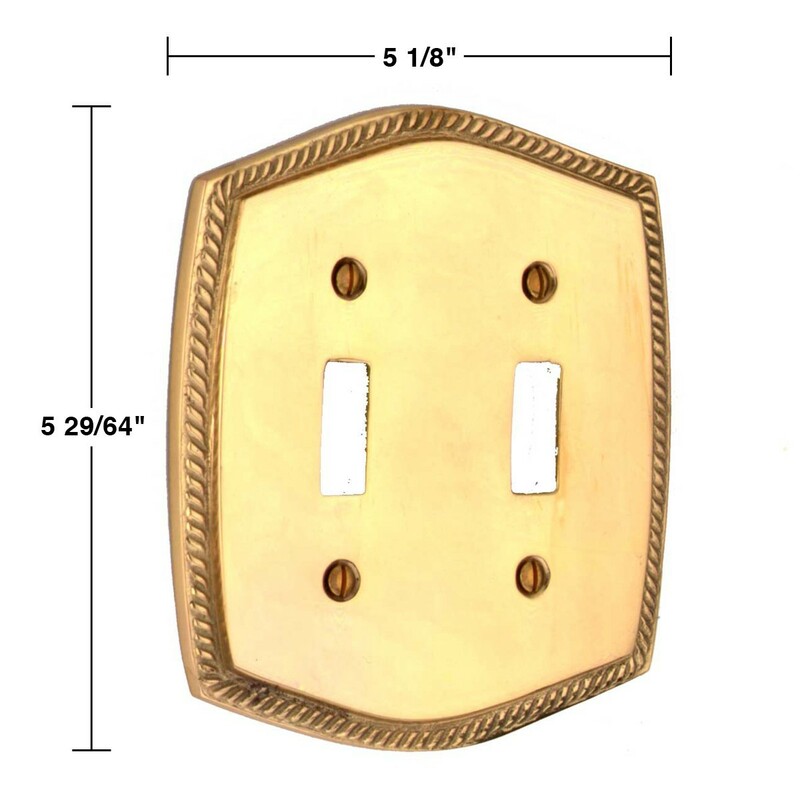 It is polished and lacquered.